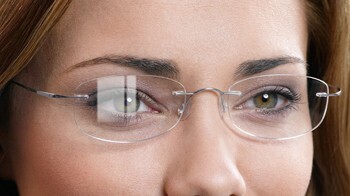 The Next Revolution in Anti-Reflective Lenses - Now Here at Theyedoctor.com. Repels smudges, repels water, repels smudges. No uncomfortable reflections provide you with clear and contrasted vision. Anti-reflection lenses increase light transmission through your lenses, which can dramatically improve your night vision, and virtually eliminate the reflections from the back of your lenses which reduces "ghost images" and flare. More light can reach your eyes, particularly in low-light situations like night driving. Some of the light reflected by typical lenses is bounced off the front of the lens surface. That means that others see reflections on your glasses, instead of your eyes. With anti reflection lenses, they'll see more of you. Reduce "Visual Noise" and Eyestrain Light also bounces off the back surface of your lenses and into your eyes. This creates "visual noise" in the form of ghost images and the fuzzing of objects in your field of view. Even if you are not consciously aware of it, this glare can cause eye fatigue and stress. The effects of these reflections are most pronounced in situations such as spending lots of time under flourescent lights, or driving at night with bright lights ahead and behind. With AR, these reflections are virtually eliminated. That means better vision when you need it. Water has minimal adherence to lens surface. Many people feel self conscious wearing glasses. They are uncertain how they'll be perceived. They wonder how much other people notice their glasses, rather than their eyes. And they don't like the reflections and glare in their eyes that remind them that they have to wear glasses. AR makes glasses much less noticeable - whether you're looking through them or at them. With advancements in hydrophobic, oleophobic and anti-static technologies, the next revolution in anti-reflective coating is now here at Theyedoctor.com. IAnti reflction lenses eliminate reflections allowing 99% light transmission. They offer outstanding contrast, abrasion and scratch-resistance exceeding market benchmarks. Amazing durability in accelerated aging tests, and unsurpassed anti-static properties. Treated lenses repel water, fingerprints, dust and lint as never before. The most technologically advanced anti-reflective coating, a new standard for cosmetic and optical performance, and ensures consistent residual color. Applied in a multi-stage process using the latest robotics, AR complements the advancements achieved with Digitally surfaced lenses. This AR will never crack, peel, or flake for the life of the lenses, guaranteed. 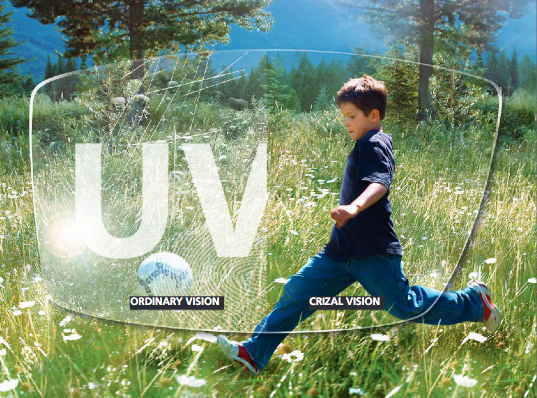 This translates into seeing the world in Digital clarity through almost smudge-proof lenses that are easier to clean and care-for than other AR coatings.